I love maxidresses and found a fabulous, colorful one at a local boutique. Unfortunately, the boutique dress was way, way out of my price range (upwards of $400). So, I used the dress for inspiration and decided to make my own! Using a stretchy, jersey fabric, I left the side slits up for a sassy 2013 look. A thrifted red clutch goes well with the colorful palette. 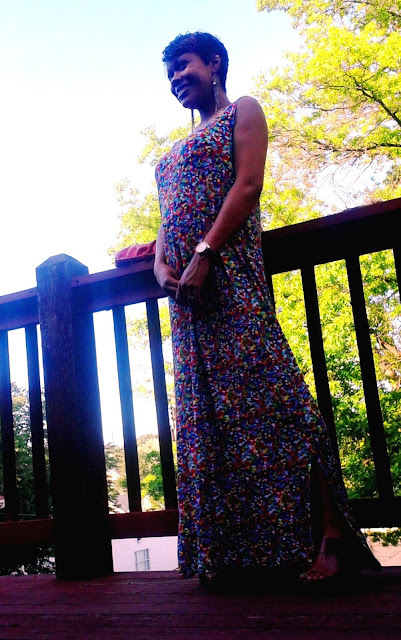 I like having the higher neckline in front, but the dress is completely reversible. 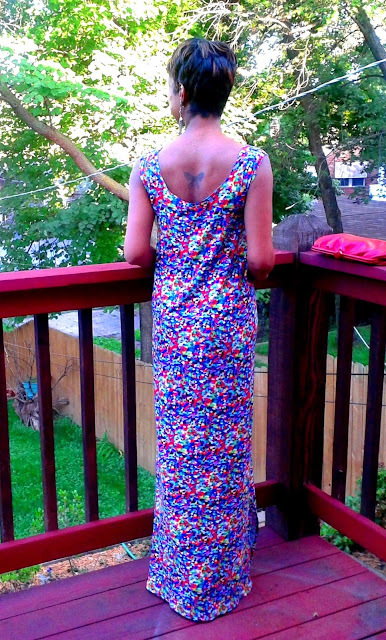 I'm a novice, so the dress took a bit longer than an hour. . .but was still relatively easy and fun to make.